India has denied visa to former Pakistan president Pervez Musharraf who wanted to attend a seminar here this weekend. The decision to reject General Musharraf’s visa application was taken as the Home Ministry had serious reservations over allowing him to visit the Capital in view of his recent anti-India statements, sources in the Home Ministry said on Wednesday. The government also did not want to be seen encouraging a gathering and activities here of those elements who were opposed to the present regime in Pakistan. The sources disclosed that some supporters of the former military ruler of Pakistan had also applied to the Indian High Commission in Islamabad simultaneously for a visa for him to visit India. His visa applications in London as well as in Islamabad were rejected by the Indian High Commissions there. General Musharraf had been invited to be a speaker at a seminar, hosted by the Young Presidents Organisation, an international outfit involving influential business leaders. The conference was scheduled to be held in the Capital over the weekend. Considered to be the key architect of the Kargil conflict, the former Pakistan president, currently living in self-imposed exile in Britain, had recently, in his statements to the media, blamed India for creating unrest in Pakistan's south-western Baluchistan province. He had claimed that the involvement of India and Afghanistan in Baluchistan was creating unrest in the province. 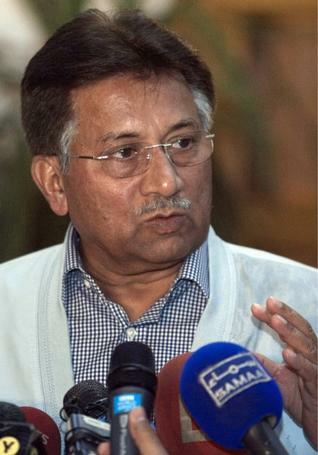 India's refusal to grant visa to General Musharraf is an unfortunate move, a close aide of the former President said. “It is unfortunate that the Indian government feels so upset or under-confident that they have denied him a visa,” said Rasheed Qureshi, spokesman of General Musharraf's All Pakistan Muslim League party.